Heavy rain expected to increase flood risk – in Newark? According to the Environment Agency, there is a “low but increased risk of flooding this weekend across the whole of England, as isolated torrential downpours are predicted”. The Environment Agency is monitoring the situation and is also supporting local authorities who will respond to any reports of surface water flooding. One can’t help but wonder if Newark is among the places threatened. 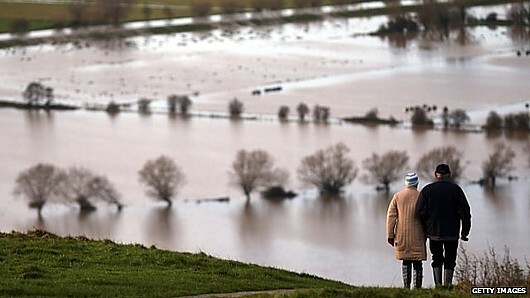 The constituency that is hosting today’s by-election was hit badly by the winter floods that hit between November last year and February, but was sidelined by both politicians and the news media, who preferred sites in Oxfordshire and Somerset that were easy to reach along the M4. The paper added that Southwell locals had indicated David Cameron had also been talking to local people about the flood money bid on Monday. Will the Tories do anything about it if they lose? Doubtful. Isn’t that electoral fraud, then? Blackmail, economic threats (flooding has a severe effect on local businesses), bribery… misinformation at the very least? In that case, never mind their candidate’s undeclared directorship of Christie’s and £1.3 million house. The Tories deserve to lose because they are trying to bribe the voters.